The countries of the Eastern Mediterranean are on the threshold of a gas — and possibly oil — boom, but whether this will open new horizons for them remains uncertain. This article will focus only on the natural gas aspect of the energy boom in the region. A gas reserve of 33 billion cubic meters was discovered in the year 2000 off Ashkelon’s shores in Israel, followed by a bigger discovery of 223 billion cubic meters in 2009 at the Tamar field. A third discovery of 621 billion cubic meters was announced in the final days of 2010. The biggest discovery was at the Leviathan field, where commercial production is scheduled to begin during the present calendar year. 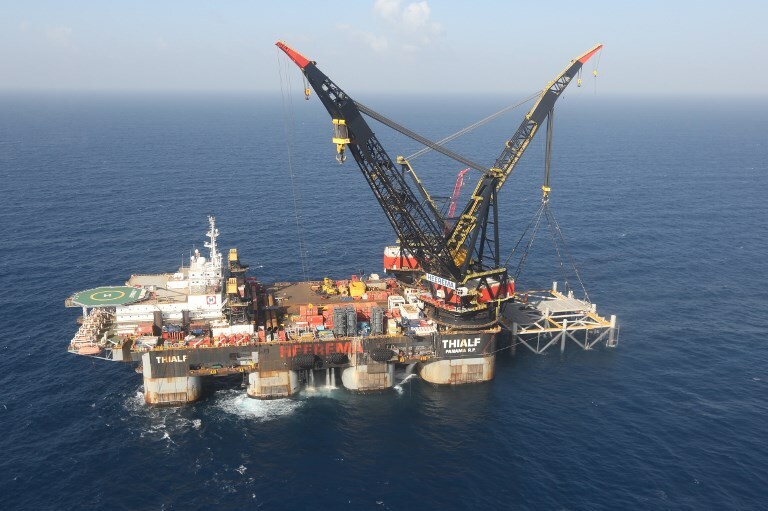 The promising results of the Israeli discoveries encouraged other Eastern Mediterranean nations to give impetus to their oil and gas explorations. Lebanon is one such and, after Israel’s discoveries, a dispute immediately arose over the boundaries of their respective exclusive economic zones (EEZs), and it has not yet been resolved. However, Egypt turned out to be the luckiest country in the region in terms of oil and gas discoveries. A big gas reserve of 850 billion cubic meters was discovered in 2015 in the Zohr area. This was followed in June last year by another, much bigger, discovery of 2.5 trillion cubic meters in the Noor area, close to the Cypriot gas fields. These two major discoveries place Egypt in the top 10 countries in terms of biggest proven gas reserves in the world. The Greek Cypriots also intensified their explorations and discovered oil and gas reserves, but there are disputes on the exploration rights between Turkey and the Greek Cypriots on the one hand and between the Greek and Turkish Cypriots on the other. The dispute between Turkey and the Greek Cypriots stems from the fact that the sea areas where the latter is exploring overlap with areas that Turkey considers part of its own EEZ. The liquefied natural gas transport network that the US will establish will change several parameters in the worldwide market, making liquefied gas more widespread than gas transported by international pipelines. The dispute between the Turkish and Greek Cypriots stems from the Greek Cypriot policy of seeking oil and gas without abiding by the constitutional obligation of involving the Turkish Cypriots, as the island’s natural resources are supposed to belong to the entire Cypriot people. Greek Cypriot leaders acknowledge this obligation, but they stop short of committing themselves in an internationally binding manner to share the income with the Turkish Cypriots. A practical way of abiding by this rule would be to put the money that will accrue from gas in an “escrow” account and share it proportionately when a solution to the conflict is found. Such an approach may also encourage the parties to the conflict to make bigger efforts to reach a solution in order to receive, as quickly as possible, their share of the money accumulated in the escrow account. In November last year, four major actors in the region, excluding Turkey, namely Egypt, Greece, Israel and the Greek Cypriots, agreed to cooperate for the export of Israeli gas to the EU. A pipeline will be laid from the Leviathan gas field to Otranto in the southeast of Italy via Cyprus, Crete and mainland Greece. At 2,200 kilometers, it will be the longest gas pipeline in the world laid on the seabed. There are several uncertainties regarding this ambitious project. One of them is the cost, with estimates varying from $7 billion to $10 billion or more. When these figures are compared with the TurkStream pipeline being laid by Russia across the Black Sea, the transport cost of one billion cubic meters of Leviathan gas will be 2.5 times more expensive than the Russian gas. Competitiveness is one of the main factors that determine the feasibility of a project. The second problem is the topography of the seabed where the longest part of the pipeline is to be laid. The area between Cyprus and Crete is more than 3,000 meters deep. In addition, it is on uneven ground and the region is seismically active, causing landslides in the deep sea. This will complicate the construction and maintenance of the pipeline. Thirdly, the US has made big strides in the production of shale gas. In the early 2020s, the US is expected to become a major gas exporter. The liquefied natural gas transport network that it will establish will change several parameters in the worldwide market, making liquefied gas more widespread than gas transported by international pipelines. In light of this, only the Egyptian discoveries in the Eastern Mediterranean have a chance of competing in the international markets. The others may be able to meet their national demand, but beyond that their chances seem to be limited.